Cape Town: On a comeback trail in T20 Internationals, Indian batsman Suresh Raina says he wants to use the opportunity to regain his place in ODIs ahead of the 2019 World Cup. Raina has returned to the side after one year and has looked to bat aggressively in both matches against South Africa. With a long T20 schedule ahead, he said that there was a chance for him to make further inroads and return to the ODI side as well. Raina said, "It is important to win a trophy first and important to go out there as a team mindset. If you see the top order, they are all batting well. When you come to the middle order, MS (Dhoni) is there and Manish (Pandey) is also doing a good job. "So we will see where I can fit in. There are a lot of matches coming up now. Winning games is more important than being which format I am playing or not. Every Indian game is very important for me right now." Before this, the 31-year-old last played for India in a T20 International against England on 1 February, 2017. He had made an impressive 63 off 45 balls but did not feature in subsequent T20I series against Sri Lanka, New Zealand and Australia. "I always play for the team and if we are winning trophies, individual performances will look after themselves. Whatever opportunity I get I look to play my natural game. I enjoy the team support and it helps improve my game." 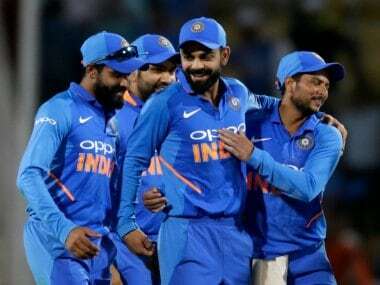 Raina has said that the first six overs are really important in the team's plans in T20 Internationals and they will look to go aggressive once again in the third match against South Africa at Cape Town on Saturday. The series stands level at 1-1 with India looking to finish the tour on a high. "It is important (to attack). Virat (Kohli) showed that faith in me. In the last two games we have dominated in the first six overs. It is very important to play well in the first six overs. "When you look to target the first six overs in T20s, you have to play your shots. Some times you get runs sometimes you don't, but I think when there is depth in the middle order you need to play really well in the first six overs. "You need to take chances in the first six overs when you are looking to chase or get big runs and that's what we have done as a batting unit," he added. Raina stressed that India need to carry their momentum from the last week of January and finish off the tour well. "We have spoken about it in the team meeting as well. When you have been doing well in every game, then you need to finish well too. That is what Virat is all about. He never takes things easier, and on top of that you have MS and Ravi (Shastri) bhai who also give their inputs to the players. 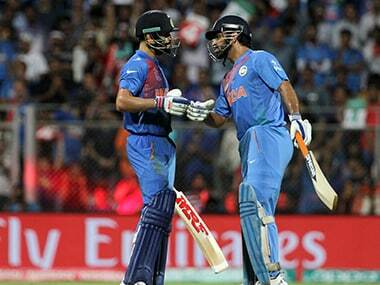 "Virat has led the team well. We did well in Tests and won the ODI series. Dressing room is such that every one is enjoying this success and the process is such that everyone is giving their inputs to Ravi bhai." He said the ICC World Cup is one long road the team has to cover. "I think it is a long road to the World Cup from here on. First we have the tri series in Sri Lanka, then we have the IPL, so we need to keep fresh, keep winning and doing the right processes. "Closer to the World Cup we will be able to tell where we are going. It is important to stay in present and look to win each and every game," he added. South Africa have looked to increase their aggression in the T20 format and made an attacking play during the run-chase in both games. "In the first game, they had two fielders back and no third man. So Rohit (Sharma) took 20 in the first over. But they bowled well in the last game. They were using a lot of variation like the slower ball. "We have done really well as a bowling unit. Sometimes you need to credit the opposition as well. They needed to do something different else when Kuldeep (Yadav) and Yuzvendra Chahal were not allowing them to score. "They needed to come up with a plan B and they have done that. But it is not that we haven't done well. 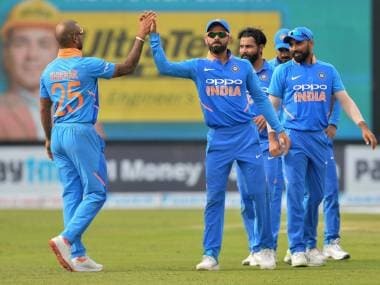 Bhuvneshwar Kumar took 5 wickets, Hardik (Pandya) and Chahal have bowled well," he added. Raina said India needed to simply follow their plans and execute them properly to secure a 2-1 win. "They have done well in the last game and batted really well. JP Duminy took the responsibility and Heinrich Klaasen was very solid in what he was trying to do. I think dew made a lot of difference but credit goes to South Africa. "We haven't played Junior Dala and Dale Paterson much earlier, but we have done well against them in this series so far, he said. Raina is also one of three Indian batsmen with a T20 International hundred. "150 is the average score here. We will have to see what the wicket is like and decide our plans afterwards. It is just tomorrow's game we have to concentrate on, bat well in the first six, finish well, bowl and field well. "Take whatever opportunity comes our way. Definitely we want to win that match tomorrow. Both teams look good so God willing we will do well tomorrow. It will be a good game," he signed off.